The Cold Pools, a love story set against a backdrop of a far future devastated by global warming, is my attempt to convey a message about the way we treat our environment. I live in Japan where recycling is very important, but it is not so much the treatment of waste that I consider the problem, but the waste created in the first place. I recently read a news article which gave estimates of the amount of time left for certain non-renewable resources. Aluminum could be gone within ten years, oil within fifty. Oil, on which not only do our cars run, but from which the vast majority of the plastic bottles and bags and parts of TVs, cars, computer games and pretty much everything else you can think of are made. Even if you've never driven a car, fossil fuels and their products help you through a significant part of your life. I don't want to preach, because I'm a typical consumer. Today alone I bought three PET bottle drinks (it was hot, and vending machines, as you probably know, are everywhere in Japan – 5 million of them to be exact). I got to thinking just how little drink was contained in one of those bottles, and how much manufacturing had gone in to produce a container that provided a drink which gave me about five minutes of pleasure. And I thought about how even though I put that bottle into the recycling bin at my local convenience store, how many others are just dumped in landfills or burned, and how it would be so much better if they didn't exist in the first place. I also have a car, albeit a “kei” car (660cc) and an air-conditioner. I travel on trains, fly overseas a couple of times a year, eat a bunch of stuff that comes in plastic wrap, leave lights on when I probably shouldn't, have more showers than are probably necessary. I do loads of stuff that can directly or indirectly contribute to global warming. While I try to walk or cycle as much as possible, use an eco-bag in the convenience store or supermarket, have a small garden and try (try …) not to eat fast food, the net damage I cause to the environment is still way more than it should be. And I'm just one person. There are some four billion of us on the Earth, and I'm certainly not the only consumer of fossil fuels. 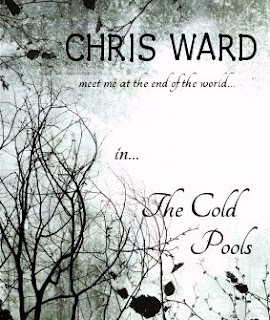 In The Cold Pools, Lewis and Karen live in a world where global warming has caused such a depletion of ozone that the only place left where naturally cold water can be found is in a small mountain resort town in Antarctica. The rest of the world is a charred waste. Lewis and Karen have no hope. There will be no future for them. Lewis only wants to give his dying wife one last special present, the chance to see naturally cold water. We don't live in that future. We live now, and we still have a chance to make a positive change. I'm not going to tell anyone how to live their lives, only ask that you be aware of what's happening around you and always try to think of ways to save, to protect, to improve the world. I really enjoyed writing The Cold Pools, but it made me so sad. However, I think it is a good story, with a good message. I hope you enjoy reading it. 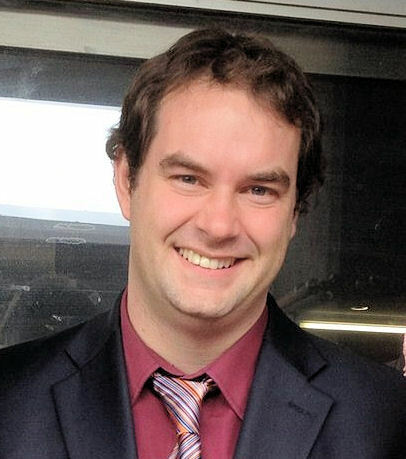 Chris Ward is an author and writer working as an English teacher in Nagano, Japan. My current WIP could actually help them all find the time, as it is a non-fiction book and has 100 tips on how to be more productive. Now in the final stages of editing, I've really appreciated the encouragement and support of some of the top experts in the field on both sides of the Atlantic, who have generously contributed some great quotes. I don't think seven lines from a management book are really in the spirit of the Lucky 7 posts, however, so instead I offer seven lines from page seven of my other 'WIP' - my second novel which I will soon return to once Personal Productivity is published. In Amboseli she found a tarantula under her bed. Steve didn’t believe her but she knew a tarantula when she saw one and had to kill it with her shoe before she could go to sleep. She watched as Steve disappeared into the bathroom and guessed he would be checking out the shower. He was no good at folding shirts but great at understanding how to use shower controls. The sound of a powerful shower came from the bathroom and Steve emerged looking pleased with himself. ‘Want to go first?’ He had taken off his shirt and she could see the scar, a legacy of the car accident that had nearly killed him. If you enjoy reading interviews with authors, have a look at UK author Felicity Lennie's 'Castaway on The Island of Books'. The mysterious Island of Books is deserted save for the library - but its shelves need filling. Shipwrecked authors are invited to complete nine questions for the Author Index Catalogue and nominate one of their books for its shelves. 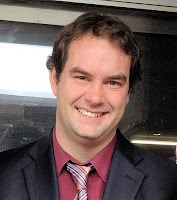 Welcome to the first of my blog interviews with novelists, poets and short story writers. Today’s is with a London based author with a mission to introduce the almost lost genre of otherworldly fantasy fiction to YA readers, Alisa Jeruconoka. Hello Alisa I am always interested about other authors writing habits, can you tell us something about how you write? I always have to have an outdoor swim. I do this in a local pond at Hampstead Heath (London) before I write. It’s a private women’ only area and its always open no matter what time of year it is. If I don’t swim then I just can’t seem to get my head into writing. I have tried going for a swim at indoor pools but this doesn’t seem to work, it has to be outdoors and I can say that for the sake of writing I have endured some very cold, windy and wet weather. Wow I suppose that's one way to clear your head what inspired you to write Unparallel Worlds? I had always written short fantasy and science fiction stories in my days at college and university. They were often published in the college or university press, or turned into stage plays for the drama departments to perform. However when I left university I went straight into a career so I put writing on hold. This is how it stayed for several years then about two years ago I visited a bookstore with my niece and while choosing a book together I realised that nearly all the books in her age group (the YA section) were urban fantasies about vampires and werewolves. 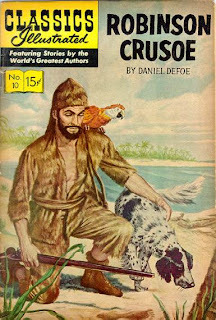 It was then I decided I would write again with the aim of re-introducing this age group to richly imagined Science and Fantasy fiction, a genre that looks as though it has been forgotten for today’s YA market. 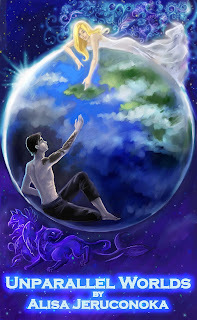 Aurelia in 'Unparallel Worlds' is an interesting character, how much of her is based on your own experiences? Very little of her is actually based on me. I wanted to create a completely independent character that would appeal to everyone yet be different to anyone I, or the readers knew. If I had based Aurelia on myself then she would not have been as interesting as she is and she definitely would not have taken all the risks that she did. I do though plan to have a character in the second book that will be closely based on my mum. What sort of readers is 'Unparallel Worlds' written for? Unparallel Worlds has been written for young adults, those that enjoy letting their imagination completely escape for a while. Whether during their studies for exams or when they just need a quite moment to relax and enjoy a good read. 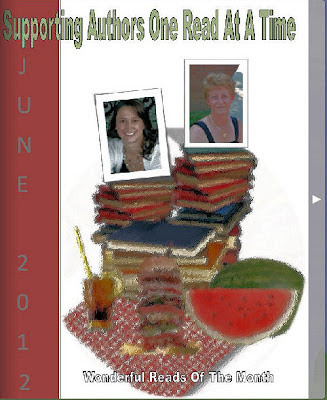 Tell us more about the educational dimension you've woven into this book? At a dinner held by a close friend of mine the discussion turned to his work as a scientist and how over the years he was seeing less and less young people enter this field or want to pursue science as a career. He felt this was largely because studying science was now out of fashion since there was an extreme lack of role models (apart from Professor Brian Cox who does a great job) and very few books or programmes that could really entice young adults to become scientists. I told my friend that I was writing a Science and Fantasy fiction for young adults. He took it as a personal challenge to persuade me into including an educational dimension to the book that would introduce young people to science. His aim was that if my book has some success then maybe it would spur on a few more children to become scientists. The result is that I have included two elements of science in the book, the wonders of our universe and the advances that have been made in genetic engineering. The challenge for me was to make sure that their inclusion didn’t sounded like a school lesson, so I added a twist to this and shown how this knowledge is being used by the non-humans in my book. Which writers have influenced your style and how? You have created a whole universe in your last novel so what plans do you have for its future? 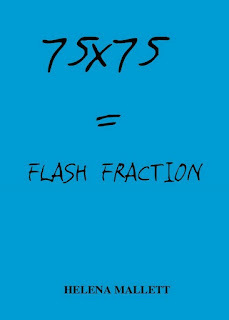 Having had several 75 word stories published online I pondered the challenge of writing ‘75 x 75’. Was it really possible to create so many believable characters and plots within exactly 75 words? 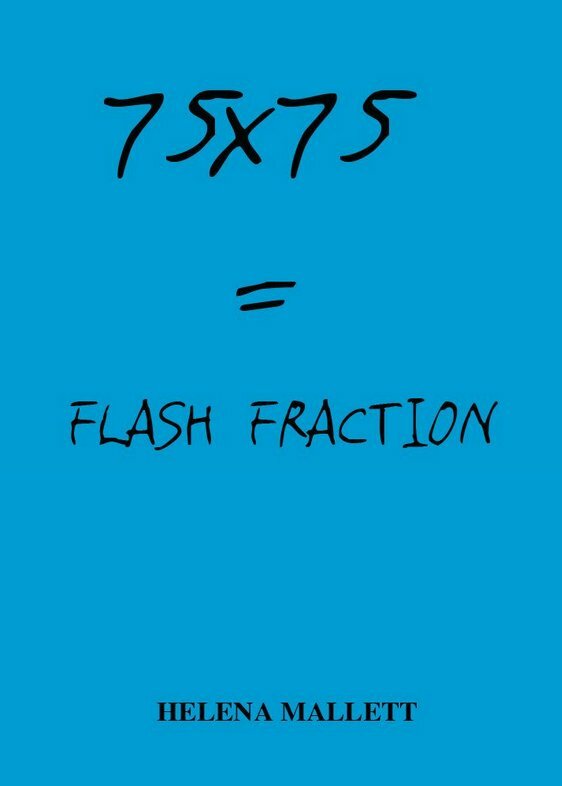 I think I have done so in my book 75x75 = Flash Fraction. Birth, death, IVF, infidelity and alien abduction are all here with each story aiming to entertain, often with a surprise twist, leaving the reader to make their own interpretation. “MoHUnA,” she said pulling at the edges of her headscarf and lining up the sides of laminated note cards, “means dejected or one who is disappointed.” She waited a moment before looking up at me, the curved rims of her eyeglass lenses framing soft brown eyes. Mohana travelled to Qatar (a country the size of the U.S. state of Connecticut) in 2005 to support one of the American universities setting up a branch campus in the capital Doha. Her story of establishing a life and career in the Arabian Desert is shared by thousands of immigrants who have relocated to the rapidly developing country, as many of the people living in Qatar are expatriate workers of multiple nationalities, including migrant workers from across South Asia to American and European professionals. I was surprised at how little I knew about Qatar, although the tragic recent mall fire had brought the country back into the news. In our haste to get on with our lives it is all too easy to think Qatar must be a bit like Dubai – in the same way that Mohana found that people were constantly finding quick ways to ‘categorise’ her. Refreshingly positive about this ignorance, Mohana recalls she was made to feel rare, strange, special, and unique at middle and high school in North Florida. At college in North Carolina she felt ‘like a fly in a glass of milk’ an anomaly. In Qatar has name advertises that she comes from India – but her Sri Lankan features cause confusion. 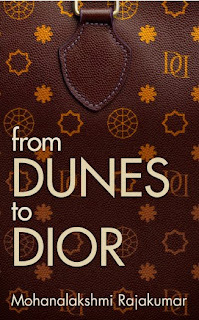 In turns funny, poignant and touching, From Dunes to Dior will definitely help you understand Qatar – and possibly make you think about your own prejudices. Mohanalakshmi Rajakumar is a writer who has lived in Qatar since 2005. She has a PhD from the University of Florida with a focus on gender and postcolonial theory and has written and co-edited five books in the Qatar Narratives series, as well as the Qatari Voices anthology which features essays by Qataris on modern life in Doha (Bloomsbury Qatar Foundation Publishing, 2010). An Associate Editor of Vox, a fashion and lifestyle magazine based in Doha and winner of the She Writes We Love New Novelists competition, Mohana has been a regular contributor for Variety Arabia, AudioFile Magazine, Explore Qatar, Woman Today, The Woman, Writers and Artists Yearbook, QatarClick, Expat Arrivals, Speak Without Interruption and Qatar Explorer. 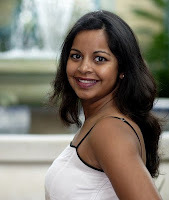 Mohana is working on a collection of essays related to her experiences in the Arabian Gulf and a novel based in Qatar. 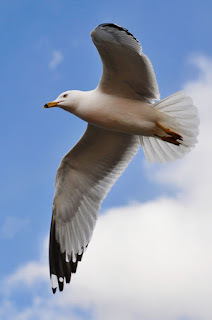 Visit Mohana's blog or follow her on Twitter @moha_doha.